Film archivist Muriel Sharpe's dreams come true when she is tasked with salvaging a derelict movie theater and uncovers a treasure trove of lost film prints from Hollywood's golden age. Instead of reporting them to her bosses as she was instructed, resentful Muriel decides to have her own private film festival to experience the forgotten gems as they were meant to be seen -- on the silver screen. 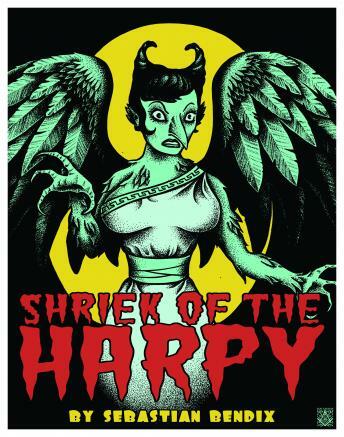 But what the opinionated young woman isn't prepared for is Shriek of the Harpy, a notorious horror picture directed by a sadistic, misogynist auteur that features a terrifying female monster drawn from ancient mythology. When running the twisted bit of celluloid proves too great a temptation to resist, Muriel unwittingly unleashes a nightmare that seeks to destroy her mind, body and soul. Interesting book. I'm a theatre guy so that's what I liked.